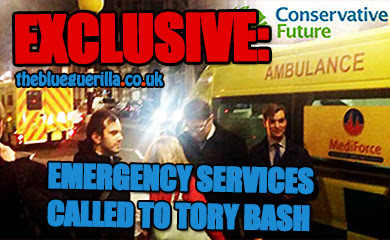 TheBlueGuerilla: Fury as MP bills taxpayer £176 for coffee. Fury as MP bills taxpayer £176 for coffee. 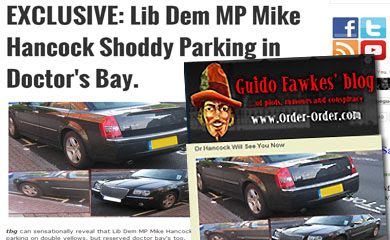 There's uproar today after a Lib Dem MP billed the taxpayer for £176.55 in coffee expenses within just two months. Parliamentary expenses claims for June and July 2012 show that the Hon Member for Manchester Withington bought at least two coffee makers from Aldi for £34.99 each, claimed £44.98 for coffee beans from Tesco, a further £52.14 for coffee purchases over the internet and £9.45 for coffee and milk for staff. Robert Oxley of the Taxpayers Alliance told tbg. - "MP's expenses are to cover the cost of their role not to keep them supplied with caffeine". CF Xmas bash sold out. 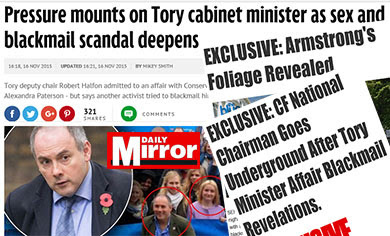 Leveson Report: Epitome of double standards. Miliband wants to regulate the Press. Sir Cyril Smith and the missed chances. Gaza thanks Iran for missiles. Holmes defends position on CF area roles. Police say Cyril Smith sexually abused boys. 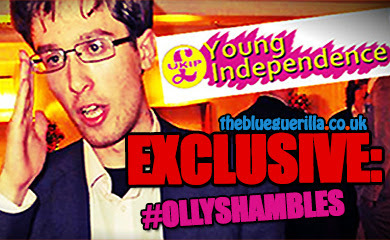 Tory Chairman rejects deal with UKIP. Johnson and May lock horns over student visas. Cyril Smith family hit back. It's back to the jungle for Nadine. Boris doesn't want in-or-out EU referendum. Scottish Tories launch new brand logo. Crosby in new Race Row. Cameron stands up for the taxpayer. Nadine wasn't given green light to go on show. Bust up in Brussels as DC demands EU pay-cut. New BBC Director General admits Marxist roots. Dorries 'wasn't straight with Mitchell'. Shapps ups the anti in Brussels. Ashcroft poll shows Labour lead is 'soft'. Merron is still cashing in. Red Ed Miliband's brother to make comeback. Suspected plot to stop Lynton Crosby. Uproar as Plymouth Brethren lose charity status. Now Greening pulls the plug on Ugandan Aid. Van Rompuy plans £5bn EU tax grab from Britain. Corby 'bloodbath' expected at lunchtime. French set to use EU veto over farm subsidies. Landslide protest vote expected in Corby. Texas and Colorado bid for Independence from U.S.
Tory Youth plan Xmas bash amid election campaign. International Aid scrutinised further by Tory MP. Record low turnout expected for PCC elections. Holloway in Conservative Future Chairman bid. Derby University SU ban local UKIP PCC candidate. Howlett set to run for Parliament. Greening puts brakes on Aid to India. Cameron slams internet paedo rumour list. Clegg denies he wants EU Commissioner job. Washington & Colorado legalise ganja. New twist in EU budget row. Dorries on brink of UKIP defection. Miliband's living wage would break EU law.